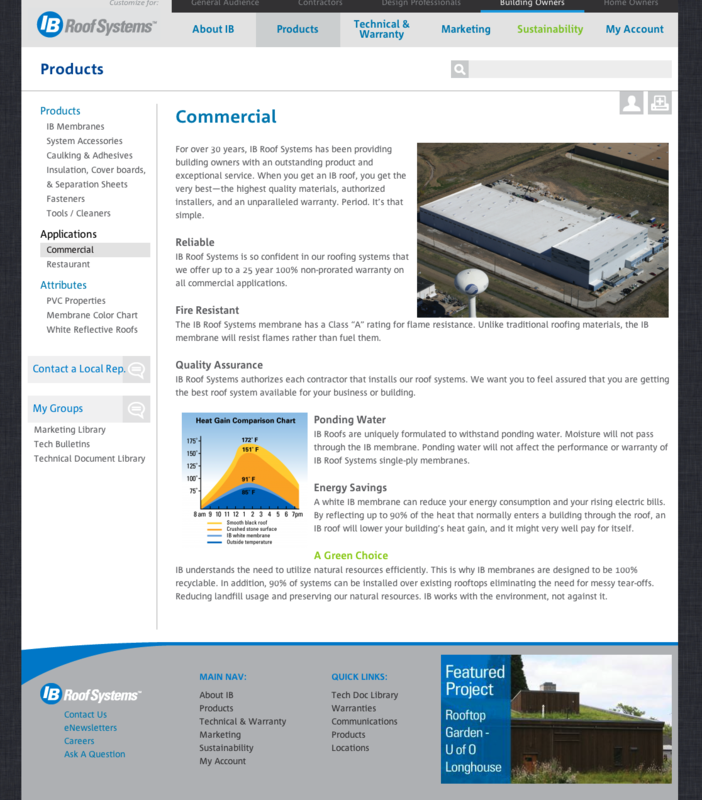 Features of this commercial roofing website include a content management system, mobile theme and desktop theme, audience tailored content, various levels of access to content for subcontractors, managers, regional, and other specific roles. IB Roof is based out of Texas, but wherever you are, we can build a web solution for your business. 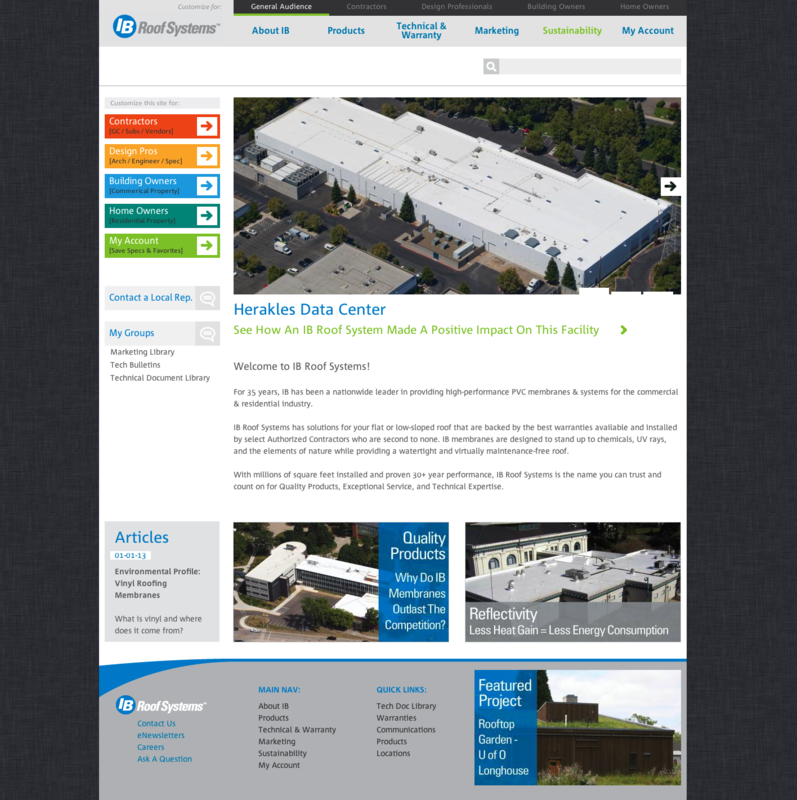 Contact Bravo Web to have your roofing company website professionally designed.